Forget augmented reality – why change the world around you when you can change yourself? Read on as I explore the new age of Augmented Humanity: Cyborg implants, magnetic fingers, exoskeletons and more. 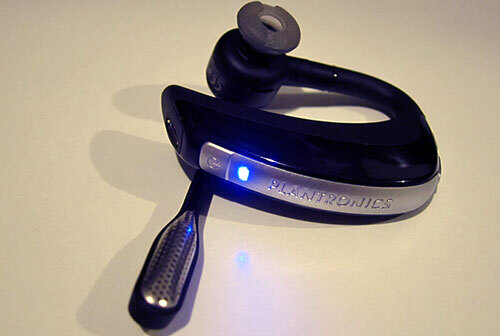 When reviewing a Plantronics Voyager Pro Bluetooth headset recently, I found myself looking at the blinking blue light and remembering the Doctor Who episode “Rise of the Cybermen”, in which people using blue glowing ‘Earpods’ were cybernetically “upgraded” against their will, with their brains installed inside bodies bonded onto a metal exoskeleton. This prompted me to think – the purpose of the Plantronics headset is to improve our biological ability, to hear phone calls better, to talk and dial numbers without actually holding a phone. Such Bluetooth phone headsets, or the proud Australian invention of the Cochlear ear implant are early examples of technology augmenting and enhancing human abilities. So are we on the road to becoming cyborgs? And how many parts do you have to replace in a person for them to remain human? What if the original organic brain was all that remained, inside an artificial body? I write short articles as well as long feature “explainer” articles on topics including: Google Android Smartphones and Tablets, National Broadband Network (NBN), Space, Civil & Military Aviation, Ebooks and the Publishing Industry, Electric cars etc for Geare Magazine. The editor of GEARE has kindly permitted me to post articles here after the magazine issue the article was printed in has passed its shelf life. I have added updates where new information is relevant. From the opposite direction, we have the rise of the robot. Who knows what societal issues will occur if it becomes possible to develop an artificial positronic brain capable of human-like behaviour, or more? Tales of rogue robots and cyborgs are a science-fiction staple, whether confused servants in Isaac Asimov’s I Robot book, even the character Data in Star Trek: The Next Generation had his off days. How fast will such implants develop? Some are already here, as we’ll see in this article. Yet some interfaces remain stubbornly old-tech. For example, this article was created using a computer keyboard not dissimilar to the originals invented at Xerox PARC decades ago, with the QWERTY keyboard layout which was originally designed specifically to slow down typing speeds and avoid mechanical keys colliding in typewriters! Cyborgs and human augmentation are popular topics in science fiction TV series like Inspector Gadget, Star Trek and Doctor Who. But when I first discussed this cyborg story idea with my editor at GEARE Magazine he was immediately transported to the 1970s and the TV series The Six Million Dollar Man. Still with a loyal audience today watching on DVD and cable TV reruns, the show’s storyline focuses on Steve Austin (played by Lee Majors), a former American astronaut who is terribly injured after crashing in an experimental plane. The military performs a series of radical risky medical operations on him, replacing his eye, arm and legs with experimental enhanced nuclear-powered cybernetic implants. Steve Austin works for his government on top-secret missions (he has to repay the six-million dollar debt incurred when he was turned into a cyborg!). Younger readers can think of him as a more likeable version of James Bond, but instead of a Q character supplying him with the gadgets needed to succeed, he himself is the gadget. While the show is intended to be entertainment first, it does explore some of the consequences of radical physical changes to a human body, such as emotional changes to the psyche of both the cyborg and those he encounters. For example, when Austin saves people from a car crash, they’re initially grateful but then repulsed when they see his hand is damaged and has electronics in it. The wider debate around augmentation is neatly summarised when Austin has an argument with a scientist he accuses of being typical of the profession, meddling with the natural order of things. The scientist argues that the natural order of things is to advance – but Austin is not sure, saying that he tries “not to confuse motion with progress when people are proposing dangerous and unproven procedures”. The scientist counters, imagining extracting Einstein’s memory and implanting it into another person, or giving musicians the benefit of Chopin’s thoughts… what incredible music could be written, he says. Amazon.com has the full-series box-set of 6 million Dollar Man. 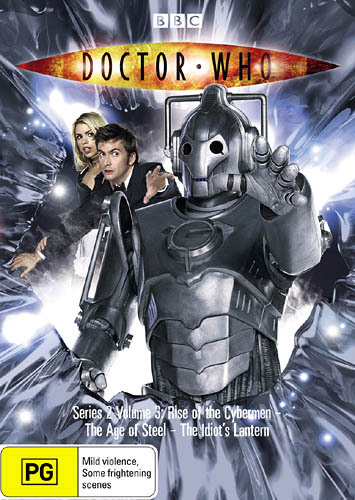 Doctor Who ‘Rise of the Cybermen’ appears on Series 2 Volume 3, available from ABC Shops and other DVD retailers. In 2006 the respected journal Nature warned that “the idea of giving people superhuman powers greatly appeals to the popular imagination. But in the real world, using neuroprosthetics to give patients control over all the less glamorous things we take for granted will be more important.” And indeed many scientists and academics worldwide are working on this very issue. The world’s largest medical technology company, Medtronic, is working on a new improved spinal stimulation implant that alleviates chronic pain by “electrically activating pain-inhibiting neuronal circuits in the dorsal horn”, which causes a tingling sensation (paresthesia) that masks the sensations of pain. The technologies in the stimulator are far more sophisticated than their counterparts in consumer electronics. 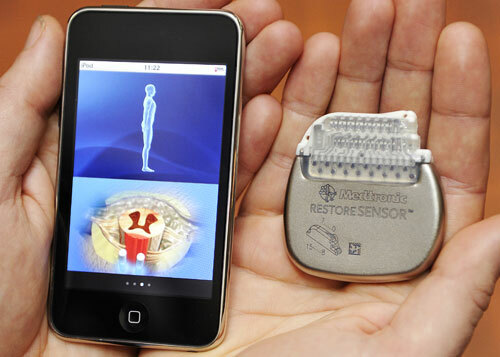 A built-in accelerometer, which automatically adjusts the stimulation when the patient moves, even while they’re asleep, uses a mere 2μW of power (two millionths of a watt). The population in many industrialised countries is aging fast, and none more so than Japan’s. It’s convenient, then, that their society is welcoming towards robots and cyborgs, and has consequently become a major research hub in that field. One Japanese company called Cyberdyne Inc (in homage to the Terminator movies) has created a cyborg exoskeleton called Hybrid Assistive Limb (HAL) that expands and improves the physical capabilities of the old and infirm. It senses signals sent to the brain by motor neurons and uses the powered exoskeleton to make those movements with minimal effort required. Like all advanced technologies HAL is an expensive option, but will, if successful, fall in price over time as the company scales up manufacturing; the company sees application in aged care, rehabilitation support and physical training, as well as industrial use in factories and by emergency services after natural disasters. The field of prosthetics has advanced at an astonishing pace, and one of its poster boys is South African double amputee athlete Oscar Pistorius, who has used his Össur Flex-Foot Cheetah prosthetic legs to set world records and win several Paralympics golds as well as grabbing silver in the able-bodied Senior South African National 400m Championships in 2007. 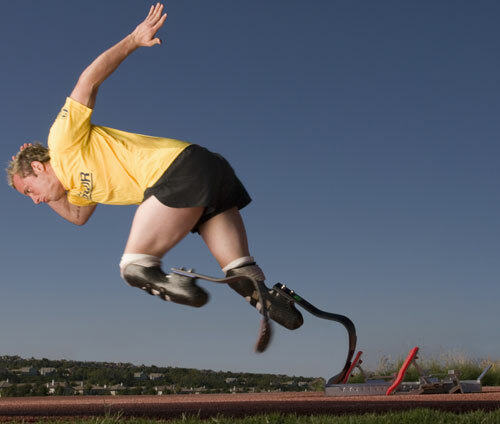 The idea that a disabled body athlete using prosthetics could compete with and even beat able bodied athletes rather blows apart the concept of physical disability – an implant or prosthetic limb can result in better capabilities than the human equivalent. Indeed this issue has led to Pistorius having a hot-and-cold relationship with the International Association of Athletics Federations (IAAF) which initially welcomed him (to compete against ablebodied athletes) and then banned the use of technical devices that provide an advantage – until the Court of Arbitration for Sport reversed the decision a year later. Pistorius is currently training for the 2012 London Olympic Games. Ever wondered what it would be like to sense magnetic fields and electromagnetic energy? Or to artificially enhance your vision? Before I head into this, however, please note that magnet implantation is a risky procedure with potentially harmful side effects like infections. Do not try it. Such warnings do not stop everyone, however. For several years transhumanist body modders have been implanting small rare-earth magnets in their fingers in order to gain a ‘sixth-sense’ ability to ‘feel’ magnetic fields – like Magneto in the X-Men series, though sadly with a tiny fraction of his abilities. There are no real practical uses, but modders say it gives them a whole new experience of the world, because so many items are powered by electricity or have magnets in them. The Canadian Eyeborg project aims to implant a prosthetic eye with transmitter into the empty eye socket of filmmaker Rob Spence. He lost an eye and designed a wireless video camera inside his prosthetic, giving him the ability to make movies wherever he is, all the time, just by looking around. As Spence told WIRED.com: “If you lose your eye and have a hole in your head, then why not stick a camera in there?” Just don’t change the SD card in public! Scientists speculate that gene therapy could be used in the future to regenerate parts of our bodies that fail as we grow older. However the societal impacts of life extension have to be considered. Aside from population growth and an increased aged population, would people have enough money to survive a longer lifespan? And would these extra years be spent enjoyably or with a complex set of medical problems? In the future, rich parents could conceivably have their children genetically modified using gene therapy. The genius Doctor Bashir from Star Trek Deep Space 9 and insane Khan Singh from the Star Trek movie The Wrath of Khan are science-fiction examples at either end of the spectrum – what could happen if parents modify their children to try and make them smarter and stronger than their cohort. Sidenote: Genetic modification was outlawed by Federation law makers in Star Trek because the benefits were deemed to outweigh the cost. Another Trekkie prediction that will come true in reality? Taste and smell are the hardest to augment out of the supposed ‘five senses’. You’re unlikely to be able to enhance those two any time soon. But sight, hearing and touch can already gain some almost cyborgian tweaks – and if you’re in Japan you could even rent that Cyberdyne HAL suit for a mere $US1500/month… not bad for a cyborg exoskeleton that gives you Iron Man like capabilities! Meanwhile technologies like the Microsoft XBOX Kinect Human Body Game and TV Controller does away with handheld game controllers, replacing them with an RGB camera, depth sensor and multi-array microphone running proprietary software to enable full-body 3D motion capture, facial and voice recognition capabilities. There are issues in small rooms, and it can look pretty silly, but its general success is undeniable. Read my review of the Microsoft XBOX Kinect Microsoft XBOX Kinect Human Body Game and TV Controller to find out how it works and see photos as well as videos of it in action. obsolete over such a span. The thought of surgery every few years to upgrade materials, batteries and electronics isn’t very palatable. Roy Want also points out the ethical and societal issues of cybernetic enhancements to share thoughts, stating that “linking our brains directly with a computing infrastructure, or using the infrastructure to directly influence our thoughts, might be going too far.” Life in a Star Trek Borg collective clearly doesn’t appeal to him! This article was originally published in GEARE Magazine issue #65. It is “digitally reprinted” here with permission from the editor. I have added updates where new information is relevant. With all your sci-fi allusions to Dr. Who and The Six Million Dollar Man, I’m surprised you didn’t mention the quintessential anime anthology Ghost in the Shell that deals far more with the heady existential and societal impacts of cyborgs embedded into everyday life than any Hollywood take on the subject. It probes and questions the very definition of the soul or personality in a sea of information and Artificial Intelligence that had long blown past the Turing test. In a world where the physical body is a mere commodity, the only vestige of humanity lies in one’s “ghost” and even that is under threat from so-called “ghost hackers”. related story: Want to learn a musical instrument, but can’t find the time to practise? A device now under development can take control of your hand and teach you how to play a tune. No spirits of dead musicians are involved. So PARC didn’t not invent the QWERTY keyboard, though we did help move computing from mainframe to personal — see for example http://bit.ly/mROXNA. Along your theme of going beyond augmented reality, you may also find this post interesting — http://bit.ly/9CbnXM — would love your thoughts! We can all become cyborgs and never die…. Might not be as good as it sounds I suspect. I suspect the true future lies somewhere between that and the Luddites. We’ll find a way of striking a balance as a human race. Of course, there will always be a radical fringe that rejects the “squares” and embraces every new technological advancement and integrates them into their lives earlier than their peers. In a way, they are pioneers, blazing the trail for all of us to find our own way forward, coming to the conclusions that match our lifestyles best. So, yeah, the early adopters may be a foolhardy bunch, but without their zeal, the world would be a much duller and less serendipitous place, don’t you think? Funny thing, I came upon this page because I was watching Ghost in the Shell Stand Alone Complex for the 4th or 5th time, noting again how cool and discreet wireless communication between characters is done in that setting, and I started thinking about all the advances in technology today, specifically in regards to communications. While watching the series it dawned on me that perhaps some sort of blue-tooth headset-cochlear implant sort of thing might be in the works out there in the world, but as far as scientific pages, or commercial products go, from what I could find it seems there much out there for the moment. On that note; I wholeheartedly second the recommendation of Ghost in the Shell, as a franchise of science fiction entertainment. In my view, GITS reaches a status of “high-art” going beyond mere fictional entertainment and entering more into a commentary on the direction of the human condition. The way the writers blended Japanese society and culture with current trends in current affairs, technological advancement, and extremely pertinent and personal questions about the nature of “being” or self in a (what we can imagine could be a drastically evolved transitional) period in our history makes for a truly fantastic experience. I truly believe that if you haven’t watched the films (at least) and the episodic series that spawned from them, you haven’t seen an example of what science fiction truly is, or at best how it should be represented. As far as the comment about lengthening lifespans, I hope that’s not true. Talk about overpopulation! EDITOR: Logan’s Run here we come! @pacobell haha ya. I’ve read that story and found it to be pretty screwed up, hope we aren’t ever like that! The Kinect, albeit in its infant stages is a FANTASTIC augmented reality piece. 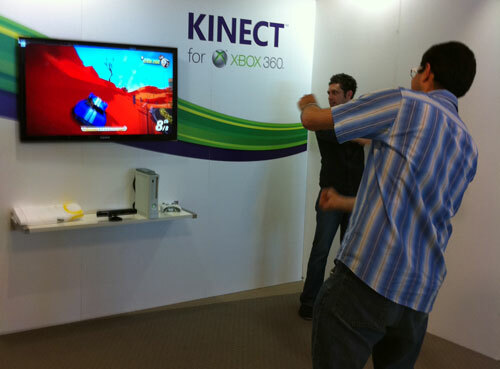 Once even more programmers have access to the Kinect, the possibilities are really endless. Also love the Asimov reference, been reading him forever. I have to admit that ‘Terminator 2’ comes to mind here. If AI actually takes off then we have a lot to be worried about. If robots start thinking for themselves then how are we going to police them? Nice article! There’s a professor up at Reading University called Kevin Warwick http://www.kevinwarwick.com/ who’s experimenting with implants which allow direct control of digital devices – so far seems to be working quite well. I’d love an expanded memory chip, Borg style… would help with all the stuff I have to keep in my head! I have met Kevin Warwick at a conference at IT-BHU, Varanasi, India and he’s a man of honour (or rather say a machine of honour). And soon humans will be in fact a brain in a machine, the brain will be transformed into immortal because we viverons processor and forever more disease, more back pain, and always full capacity of our resources, it will be beautiful Long live the future!